6oz. capacity oil can. Manufactured from high quality steel with, double-seemed leakproof joints. 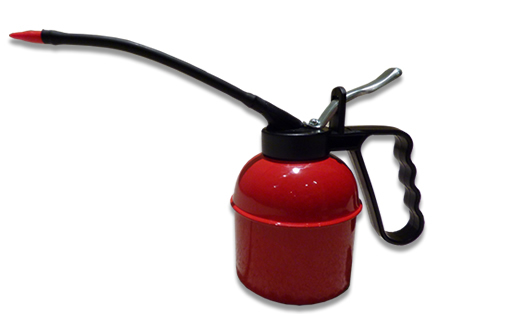 Features precision double ball piston pump, 6" moldable spout, red stove enameling, and easy to press trigger. You can count on years of dependable service with SAE Products® oil cans. Made in The USA.